Building materials or construction materials are the major requirement in this modern age of technology. There are many types of building materials used for different construction works. For a material to be considered as building material, it should have required engineering properties suitable for construction works. These properties of building materials are responsible for its quality and capacity and helps to decide applications of these material. Such properties of building materials are categorized as follows. These are the properties required to estimate the quality and condition of the material without any external force. The physical properties of engineering materials are as follows. Bulk density is the ratio of mass to the volume of the material in its natural state that is including voids and pores. It is expressed in kg/m3. Bulk density influences the mechanical properties of materials like strength, heat and conductivity etc. bulk density values of some of the engineering materials are given below. Porosity gives the volume of the material occupied by pores. It is the ratio of volume of pores to the volume of material. Porosity influences many properties like thermal conductivity, strength, bulk density, durability etc. The property of a material to withstand against the combined action of atmospheric and other factors is known as durability of material. If the material is more durable, it will be useful for longer life. Maintenance cost of material is dependent of durability. 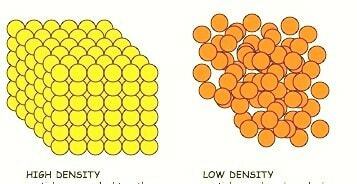 Density is the ratio of mass of the material to its volume in homogeneous state. Almost all the physical properties of materials are influenced by its density values. Density values of some building materials are given below. Ratio of bulk density of material to its density is termed as density index. Hence it gives the volume of solid matter in the material. In nature, fully dense material is not available so, density index is always less than 1 for any building material. Specific gravity is the ratio of mass of given substance to the mass of water at 4oC for the equal volumes. Specific gravity of some materials is listed below. The ability to withstand against fire without changing its shape and other properties. Fire resistance of a material is tested by the combined actions of water and fire. Fireproof materials should provide more safety in case of fire. The ability of a material to resist freezing or thawing is called frost resistance. It is depends upon the density and bulk density of material. Denser materials will have more frost resistance. Moist material have low frost resistance and they lose their strength in freezing and become brittle. The property of a material to withstand against all atmospheric actions without losing its strength and shape. Weathering effects the durability of material. 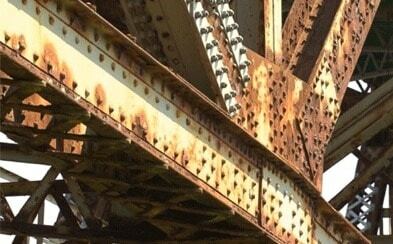 For example corrosion occurs in iron due to weathering. To resist this paint layer is provided. The ability of a material to undergo certain number of cycles of sharp temperature variations without failing is known as spalling resistance. It is the dependent of coefficient of linear expansion. The capacity of a material to absorb and retain water in it is known as water absorption. It is expressed in % of weight of dry material. It depends up on the size, shape and number of pores of material. 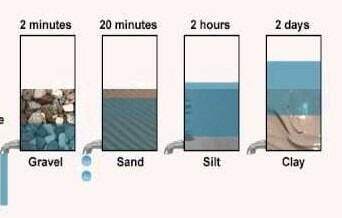 The ability of a material to permit water through it is called water permeability. Dense materials like glass metals etc. 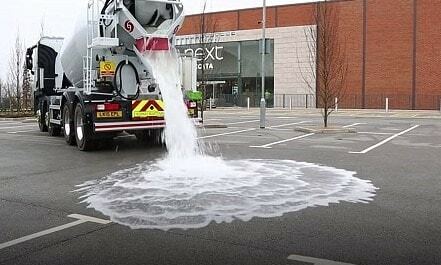 are called impervious materials which cannot allow water through it. Hygroscopicity is the property of a material to absorb water vapor from the air. It depends on the relative humidity, porosity, air temperature etc. Coefficient of softening of a material is the ration of compressive strength of a saturated material to its compressive strength in dry state. It affects the strength of water absorbent materials like soil. The property of a material which cannot melts or lose its shape at prolonged high temperatures (1580oC or more). Example: fire clay is high refractory material. The capacity of a material to resist failure caused by loads acting on it is called as strength. The load may be compressive, tensile or bending. It is determined by dividing the ultimate load taken by the material with its cross sectional area. Strength is an important property for any construction materials. So, to provide maximum safety in strength, factor of safety is provided for materials and it is selected depending on nature of work, quality of material, economic conditions etc. The property of a materials to resist scratching by a herder body. MOHS scale is used to determine the hardness of a materials. Hardness is most important to decide the usage of particular aggregate. It also influences the workability. The capacity of a material to regain its initial shape and size after removal of load is known as elasticity and the material is called as elastic material. Ideally elastic materials obey Hooke’s law in which stress is directly proportional to strain. Which gives modulus of elasticity as the ratio of unit stress to unit deformation. Higher the value of modulus of elasticity lower the deformations. When the load is applied on the material, if it will undergo permanent deformation without cracking and retain this shape after the removal of load then it is said to be plastic material and this property is called as plasticity. They give resistance against bending, impact etc. Examples: steel, hot bitumen etc. When the material is subjected to load, if it fails suddenly without causing any deformation then it is called brittle material and this property is called as brittleness. If a material is subjected to repeated loads, then the failure occurs at some point which is lower than the failure point caused by steady loads. This behavior is known as fatigue. If a material is subjected to sudden loads and it will undergo some deformation without causing rupture is known as its impact strength. It designates the toughness of material. The loss of material due to rubbing of particles while working is called abrasion. The abrasion resistance for a material makes it durable and provided long life. Creep the deformation caused by constant loads for long periods. It is time dependent and occurs at very slow rate. It is almost negligible in normal conditions. But at high temperature conditions creep occur rapidly. The ability of a construction materials to resist the effects by chemicals like acids, salts and alkalis is known as chemical resistance. Underground installations, constructions near sea etc. should be built with great chemical resistance. Formation of rust (iron oxide) in metals, when they are subjected to atmosphere is called as corrosion. So, the metals should be corrosive resistant. To increase the corrosion resistance proper measures should be considered. Otherwise it will damage the whole structure. The properties of a material to conduct or to resist electricity through them are electrical properties of material. For example, wood have great electric resistance and stainless steel is a good conductor of electricity. The magnetic properties of materials like permeability, hysteresis etc. are required in the case of generators etc. iron is magnetic material and aluminum is non-magnetic material. Thermal capacity is the property of a material to absorb heat and it is required to design proper ventilation. It influences the thermal stability of walls. It is expressed in J/N oC and it is calculated by below formula. M = Mass of material in N.
The amount of heat transferred through unit area of specimen with unit thickness in unit time is termed as thermal conductivity. It is measured in kelvins. It depends on material structure, porosity, density and moisture content. High porous materials, moist materials have more thermal conductivity. It is the ability to resist heat conduction. And it is the reciprocal of thermal conductivity. When it is multiplied by thickness of material it gives thermal resistance. Thermal resistivity of soil varies from 30 to 500 0C-cm/W. Specific heat is the quantity of heat required to heat 1 N of material by 1oC. Specific heat is useful when we use the material in high temperature areas. Specific heat values of some engineering materials are given below.